This handmade soap is silky, a gentle pink color, and scented with a floral blend of essential oils. It includes rose geranium, one that many people count as their favorite essential oil. It’s complimented by soothing lavender, citrusy bergamot, and earthy clary sage. Its a gorgeous and calming scent that puts a smile on my face — I hope it does for you too. 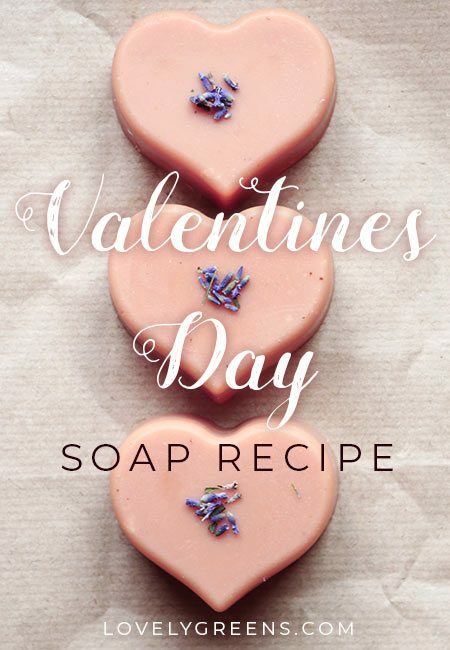 I’ve shared this recipe as a Valentine’s Day soap for a couple of reasons. 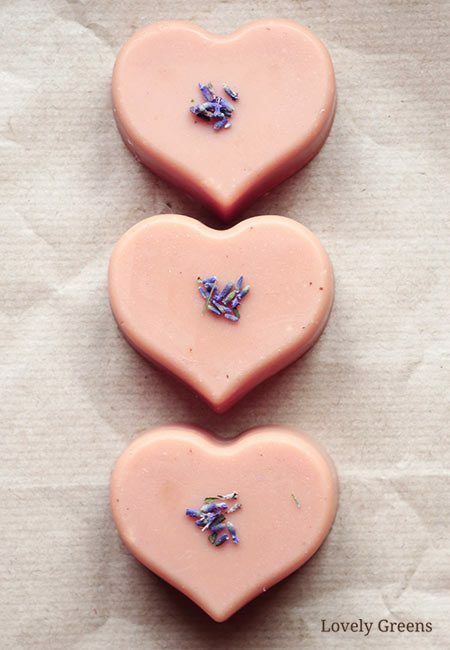 True, they are a symbolic heart shape, but it’s also because the soap’s aromatherapy benefits. I created the blend to both relax and inspire an open heart and mind. Give your soap away as gifts to loved ones or keep it as a wellness present for yourself. I use all sorts of natural ingredients to color handmade soap — see a list of them over here. One of the best types, and longest lasting, are clays. They’re a naturally mined element that come in various shades from blue to green to in this recipe, pink. The rosy color comes from a trace mineral called iron (III) oxide, that you can tell from it’s red color is a sibling to common rust. 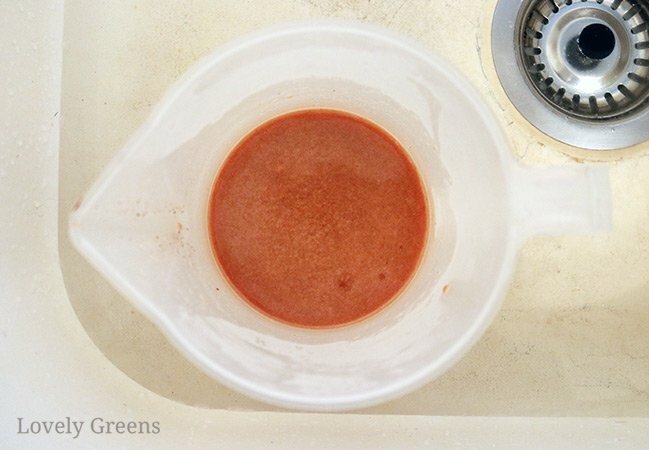 In most of my soap making recipes that I recommend using less water than you might see in other recipes. It’s because I find that it stops the formation of soda ash, a powdery white material that forms on the surface of soap. When using clay I always up the amount from what I’d usually use though. Clay pulls in water and if you use too much in your recipe, or use too little water, then your soap may form cracks. Just to make sure that no lumps of clay get into the soap bars I also add the clay to the lye water. This evenly disperses it, has no harmful effect on the clay, and lumps can be easily removed. That’s why you should definitely pass your lye water through a sieve before it makes its way into your soaping oils. Fragrance plays a big part in the way that we experience the world, connect with memories, and even enjoy our food. It can also help soothe and heal the mind and body. Aromatherapists work with oils that can help with anxiety, depression, or to help refresh a tired mind and body. In Eastern traditions, balancing the heart chakra can also be aided by essential oils. Here are some of them, including the ones in this soap recipe. Although Clary Sage isn’t considered a heart chakra oil, it’s an earthy, floral base that compliments the others. It’s aligned with the sacral chakra and considered by some to be an aphrodisiac. I’d say that’s reason enough for a Valentine’s Day soap recipe. Ooh la la! The Chakras are seven energy points that start at the bottom of the body and end at the top of your head. In Buddhism, Taoism, some types of Yoga, and other philosophies, these chakras are focal points of energy within the physical body. Places where your spiritual self and physical body have the most connectivity. The heart chakra, or Anahata, is said to enable compassion, affection, and to give and receive love in a healthy way. If you’re feeling annoyed with others, restless, or lacking in empathy you might have a blocked heart chakra. Whether or not you’re into the philosophy side of things or not, the exercises used to unblock the chakras can help. They include meditation, eating healthily, and reciting affirmations such as “I love myself unconditionally, and offer the same love to others.” Not too different from the positivity memes we share online. 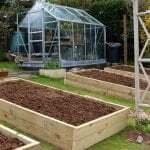 If you love gardening, you can also grow flowers and plants that help support the heart Chakra too. 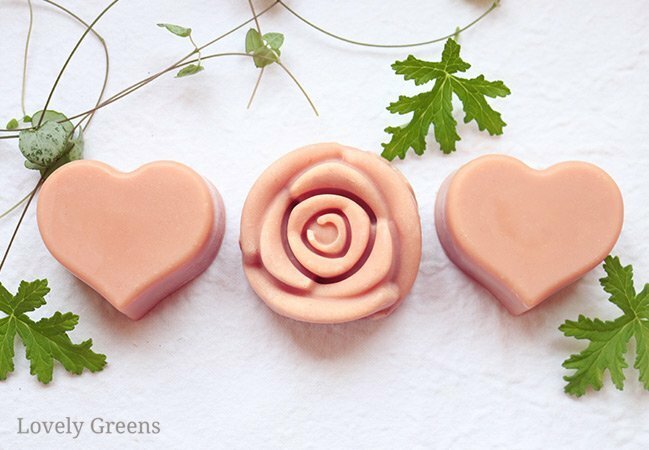 Decorating and giving these pretty aromatherapy soaps can be a special way to show you care. 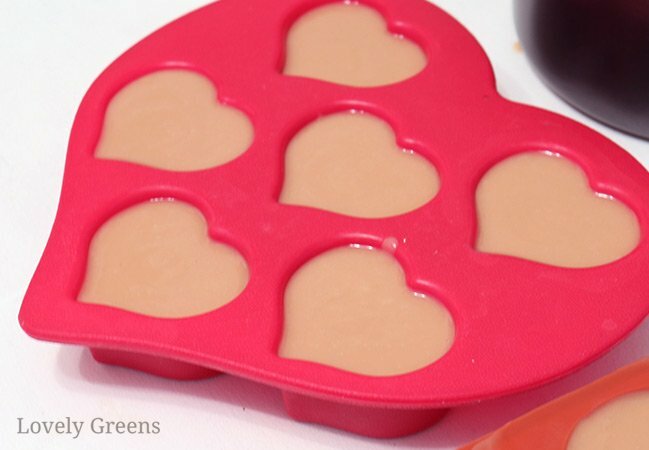 I think that making this Valentine’s Day soap recipe is a unique gift idea but of course they could be given any time of the year. Imagine how happy you’d make a friend or family member who loves floral scents and who needs a little support. Better yet, think of someone who may have been unkind to you or who keeps losing their patience with people in general. A little heart chakra healing probably wouldn’t do them any harm, and you might feel better for trying the heal the conflict. As for decorating, you can leave them plain and unadorned or sprinkle a pinch of lavender buds on top. A tip on how to do that without having them turn brown is in the recipe. 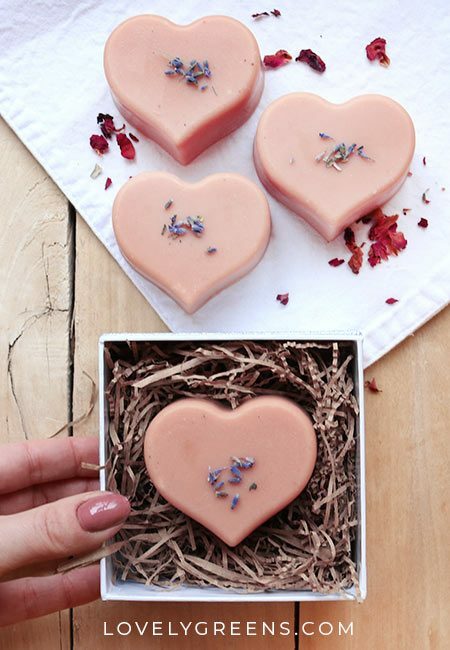 Packaging these heart-shaped soap in a small gift box with shredded paper or lace makes them extra special. I have even more ideas for naturally packaging soap over here. 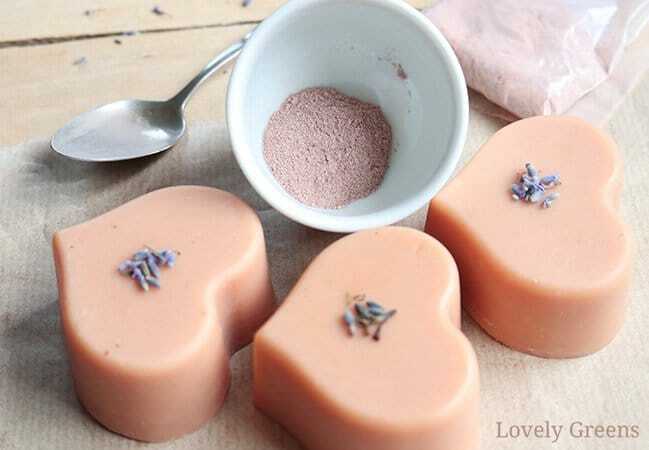 Natural soap recipe with pink clay for color and scented with a blend of emotionally balancing essential oils. This 454g /1lb soap recipe will make about six bars. It also has a 5% superfat that will be made up mainly of rich shea butter. For a consistent pink color, I recommend insulating or oven processing this recipe. This will help the soap complete a full gel phase. Insulating means wrapping the soap up in towels after you pour it into the mould. This keeps it warmer for longer and getting the soap to gel and is easy to do. If oven processing is new to you, don't worry. It's the same idea as with the towel but instead of a towel keeping the soap warm, it's the residual heat from the oven. I always advise to get everything prepared and measured before starting to make soap. Get your equipment set out, measure out all the ingredients. 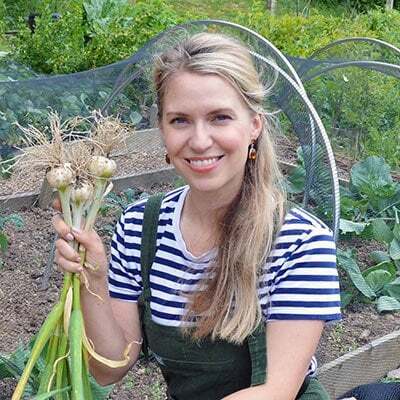 This includes the clay in a heat-proof jug, water in another jug, lye in a jar, coconut oil in the main soaping pan, shea butter in a heat-proof dish or small pan, and liquid oils should be in a kitchen bowl or jug. You can also pre-measure your essential oils if you wish. As for apparel. You should wear closed toe shoes, a long sleeve shirt, hair pulled back, and wearing eye protection and rubber/latex/vinyl gloves. Soap making is chemistry so this step needs particular care. Making sure that you're wearing eye protection and gloves, pour a little water from the jug into the clay. Mix it well so that it forms a paste. Pour a quarter cup more water in and mix until it's dispersed. Then pour the rest of the water in. Next pour all of the lye crystals into the water in a well ventilated place. Outdoors is best. Stir immediately and thoroughly with a stainless steel or silicone spoon until dissolved. 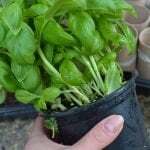 Allow to cool outside or place it in the sink or a basin of water to help it cool down. There will be steam and heat when you mix them together so be prepared. Before moving to the next step, you need to melt the reserved shea butter. You can carefully use the microwave or melt it on very low heat until liquid. If you're oven processing your soap, you should turn your oven on now to a low setting. You want the interior to only be 110°F/43°C when you put the soap in. Keep an eye on it so that it doesn't get too hot. Back to your soap. When the temperatures are just right, pour the lye water into the pan of oils through a sieve. It will catch any bits of undissolved lye or chunks of clay. Now stick blend. You're going to alternate stirring and pulsing until you reach 'Trace'. Trace is when the consistency of your soap batter is like warm drizzly custard. When your soap is at trace, stir in the melted shea butter and mix thoroughly. Next add the essential oils and keep stirring until it's all mixed in. It may begin to firm up quickly at this point so try to be quick about it yourself. 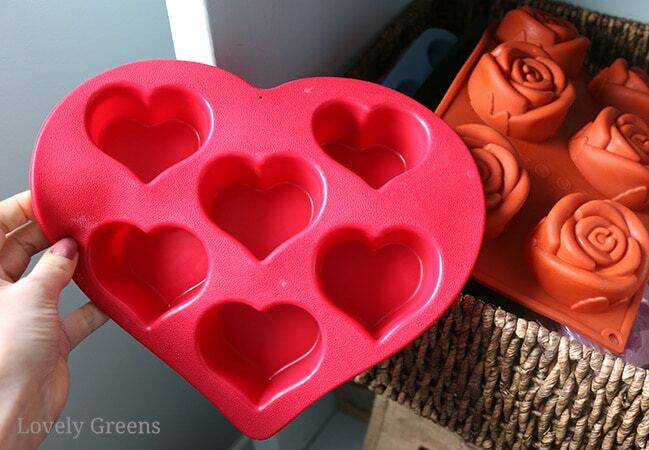 Pour the soap batter into your mould(s) and either cover with towels or oven process. For towel insulation: wrap the soap up, both from underneath and over the top with a big fluffy towel. You can line the top of your soap with cling film to keep the cloth fibers out. Leave it wrapped like this for 24-48 hours. For oven processing: From the moment you turned your oven on you've been monitoring the temperature. When it gets to the right temperature, turn it off and put your soap inside on a baking tray. Leave inside for 24-48 hours. If your oven gets too hot, turn it off and leave the door open until it's cool enough. The soap can sit uncovered for about 10 minutes without the color being affected too much. You can pop the soap out of the moulds after 48 hours. After two days, saponification is pretty much complete. Let the soap dry out for four weeks before using or decorating. This process is called ‘Curing’ and I have a great piece on what to do over here. Decorating the tops of soap with dried herbs or flowers when it's wet or fresh can lead to your botanicals turning brown (more on that here). If you wait until it's cured then they'll stay colorful for longer. 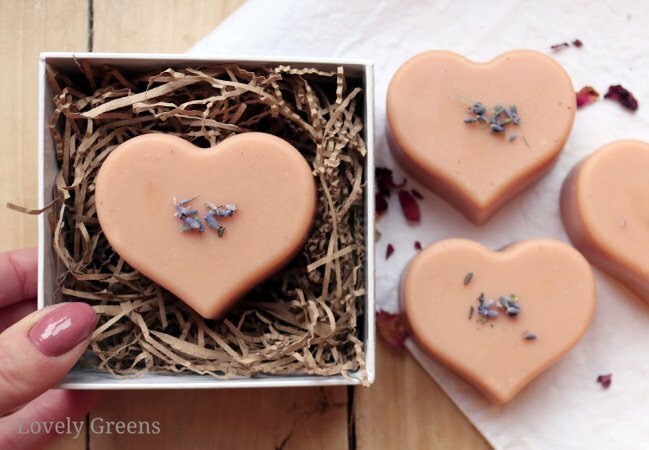 To get dried lavender buds or rose petals to stick, spray the tops of your soap with witch hazel and then sprinkle the flower petals on top. When the witch hazel dries up, they'll stick to the soap like magic. What is the reason for adding the shea butter at trace? To reduce the chance of it saponifying and becoming soap. That way it will stay free floating in the soap as a moisturizing oil. Hi Kathryn. 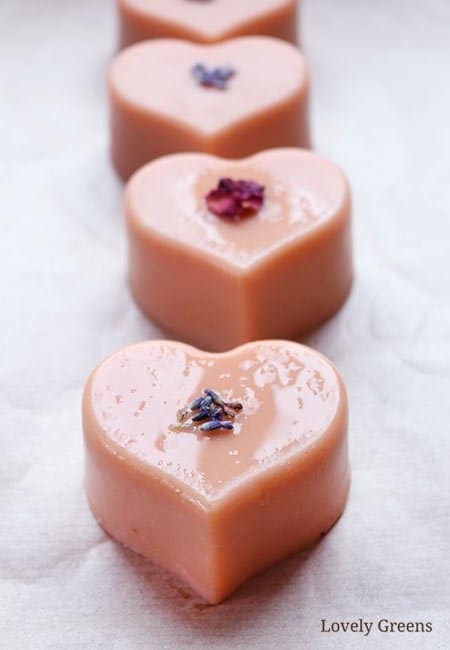 Rose Geranium is a lovely scent and it would be a shame to lose out on it in this recipe. If you wanted to, you could make up for the rose geranium amount with lavender essential oil. It’s more affordable and would work well. Hi, I was wondering if you could suggest any other floral fragrance combinations which are not quite as expensive as Rose Geranium, please. I’m hoping to make wedding favours for my niece. Thanks very much.